Jim Goldie is likely to be double-handed, saddling both Nanton and Gordonsville, in the £50,000 Betfred Cesarewitch Trial (3.55pm) over a two and quarter miles on Newmarket's Rowley Mile course on Saturday, September 22. The pair are among 27 entries for the contest which gives the horses a rare opportunity to run over the course and distance of the £160,000 Betfred Cesarewitch, which takes place on Dubai Future Champions Day, Saturday, October 13. Nanton has a good record on the Rowley Mile course, having been placed three times in the Betfred Cambridgeshire and finishing second in the Group Two Qatar Bloodstock Jockey Club Stakes. 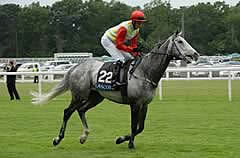 He also came home ninth in the Betfred Cesarewitch in 2009. The 10-year-old was last seen taking second in the Ladbrokes Mallard Handicap over a mile and six furlongs at Doncaster on Friday (September 14) when he went down by a neck to Sir Graham Wade. 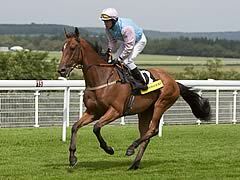 Goldie, who trains near Glasgow, said: "The plan is to run Nanton in the Betfred Cesarewitch Trial on Saturday. He has come out of his race at Doncaster in good order and he seems fine. "It was a good run at Doncaster and he has been running well this season. He is in the Cesarewitch and the Cambridgeshire, but we don't think he will get in the latter, so we want to go up in trip as opposed to down. "He was third in a Royal Hunt Cup, placed in three Cambridgeshires and has run well in a Cesarewitch - he is just very versatile. I think a mile and three quarters around Doncaster seems to bring the best out of him but when he gets his conditions he is a very talented horse. "He would need a penalty to get in the Cambridgeshire, so if he won on Saturday it would be a possibility, but I don't think it would be the ideal preparation for the Cesarewitch two weeks later. Gordonsville was runner-up in a two-mile handicap at Thirsk on August 31 and had previously looked unlucky when eighth in the Goodwood Handicap at Glorious Goodwood after being hampered. Goldie added: "Gordonsville will also run in the Betfred Cesarewitch Trial and he has been in good form this season. He was third in the race last year off a similar mark and the track at Newmarket seems to suit him. "This will probably be his Cesarewitch as I don't think he will get in the Cesarewitch itself but he should run well as he probably bumped into a good horse last time at Thirsk and it was a messy race at Goodwood." Other notable entries include Saeed bin Suroor's Rumh, who has been rejuvenated by the step up to staying trips, last year's winner Cosimo de Medici, trained by Hughie Morrison and Andrew Balding's 2009 scorer Bernie The Bolt. A seven-race card at Newmarket also features two valuable sales races over six furlongs - the £100,000 Tattersalls Millions Fillies' Median Auction Stakes (2.10pm) and the £100,000 Tattersalls Millions Median Auction Trophy (2.45pm).